Listen to "No One Else", a new collab off Gucci Mane's new mixtape "Trap House 5". 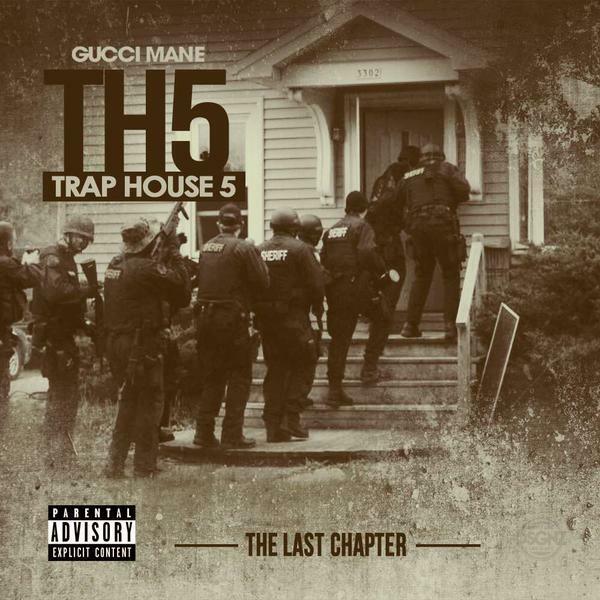 Out of nowhere, Gucci Mane released his 8th project in 2015 Monday night called Trap House 5 (The Final Chapter). Laced with 14 tracks, the mixtape features guest appearances from Young Thug, Chief Keef, and Peewee Longway. Meanwhile, production is handled by the likes of Mike Will Made It, Zaytoven, and Honorable C.N.O.T.E. Highlighting the tape, here goes the featured joint with Young Thug and Peewee Longway called “No One Else”. Listen as the three ATL heavyweights rap about feeling like “no one else” in this new braggadocious street cut. Thoughts? In other news: Thugger just dropped off his first single from his Carter VI album with “Check” last week. Be sure to check that out here after listening to this.